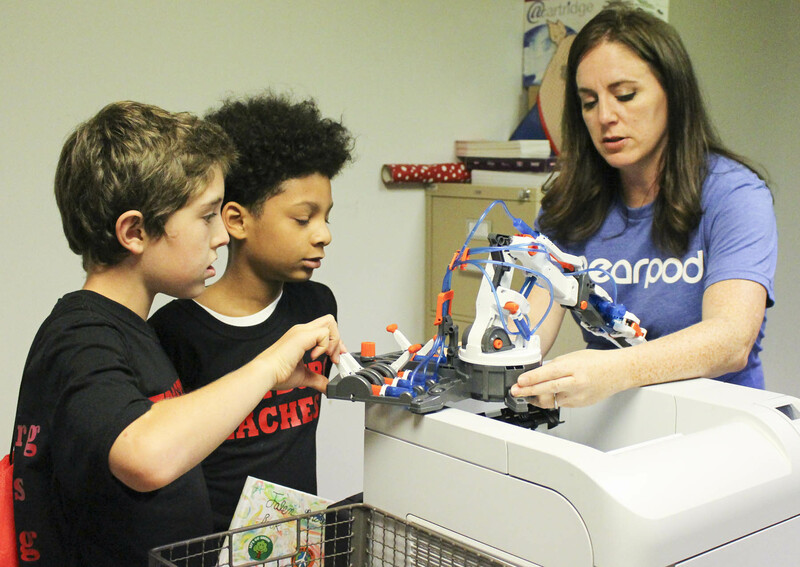 Local middle school students were introduced to teaching and technology this past June in a one-week teaching apprenticeship camp, Future Frostburg Teachers Teaching – or F2T2. 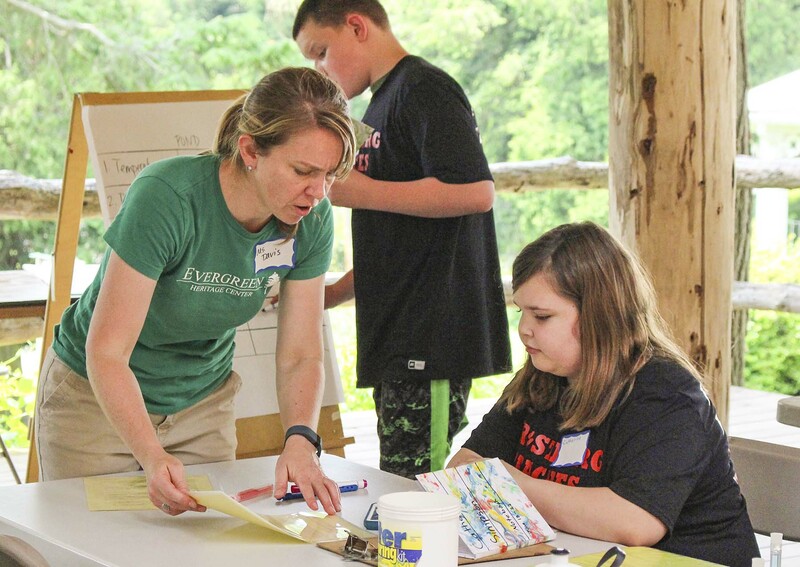 The pilot of the camp was a collaboration among FSU’s College of Education, the Evergreen Heritage Center in Mount Savage, AmeriCorps, and the Allegany County Public Schools. Eight students F2T2 campers from Washington Middle School engaged in high-tech, high-touch, high-impact activities focused in the STEM and literacy fields. The overall goal of this program was to increase their interest in the teaching professions, especially the teaching of STEM subjects. The week-long program, with an overall theme of water quality, included activities such as working with drones, designing and creating water filters, coding in Raspberry Pi to solve problems, designing and building straw-propelled rockets and much more. Throughout the program participants were to keep journals about what they enjoyed the most, what they learned or something they found interesting. At the end of the program, each chose a topic to teach in the fall to other middle-schoolers at Washington and Mount Savage schools. On top of the engaging activities, such as working with drones, the participants also learned from Dr. Jennifer Rankin and Sarah O’Neal from the Department of Educational Professions about how to keep their students interested in their upcoming presentation. Rankin and O’Neal introduced them to several teaching tools that would help the students to plan their presentations. Dr. Boyce Williams, interim dean of the College of Education, wants these students to learn to pay it forward, even if they don’t teach. Coaching and mentoring should always be a part of someone’s life, she said. An additional goal of the program is to establish a Future Teachers Club at Washington Middle School, with the intention of expanding it to the three other Allegany County middle schools. The long-term goal is to encourage more students to pursue careers in education, ideally as graduates of FSU. After a successful pilot program, the hope is to expand the week-long program next year to more students and bring back those who participated in the pilot. One F2T2 activity looked at water samples from a pond, the tap and a ditch for variables like turbidity, PH, nitrate and phosphate levels. Dr. Jennifer Rankin works with F2T2 students on a LEGO WeDo robot.